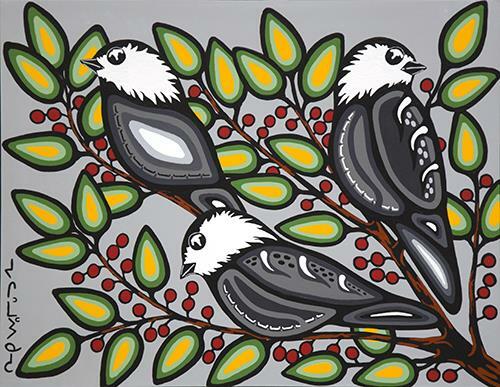 Chickadees Amongst the Leaves by Canadian Artist Eugene Morriseau. Limited edition print on stretched canvas with wrapped sides, 20" x 11" x 1.5". The print comes with a certificate of authenticity, signed and numbered by the artist.